I remember this day, 9 April 2012. I was feeling old and tired and worn out like my running shoes. Still haven’t replaced them. Must do that soon. Wonderful sketch! 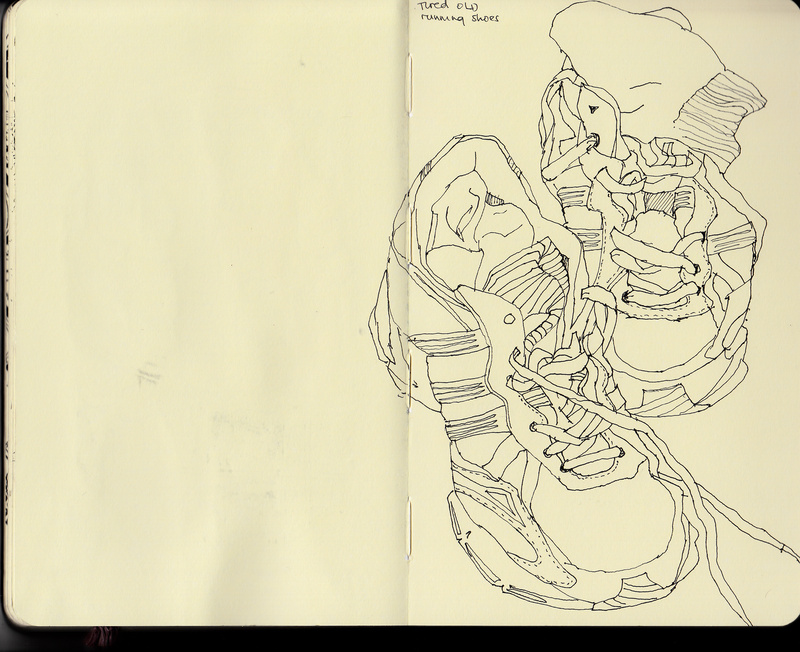 I remember drawing our shoes in a number of art classes in high school, a wonderful thing to return to now and then.